2 stainless steel shelve with two drawer below the top shelf. 1 stainless steel shelve with one drawer below the top shelf. 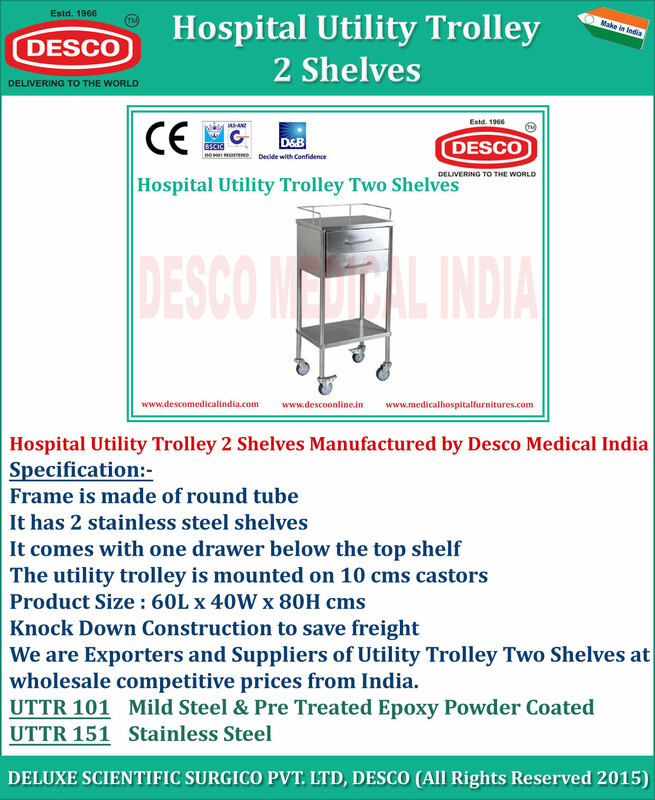 The utility trolley is mounted on 10 cms castors. Product Size : 60L x 40W x 80H cms.